The British army fought for Great Britain in the Revolutionary War and was considered the most well-trained and disciplined army in the world. The army served for the entire eight years of the Revolutionary War, from 1775-1783, in various campaigns fought around the world. A few regiments also served in the early days of the American Revolution, from 1768 until 1775 when the war officially broke out. 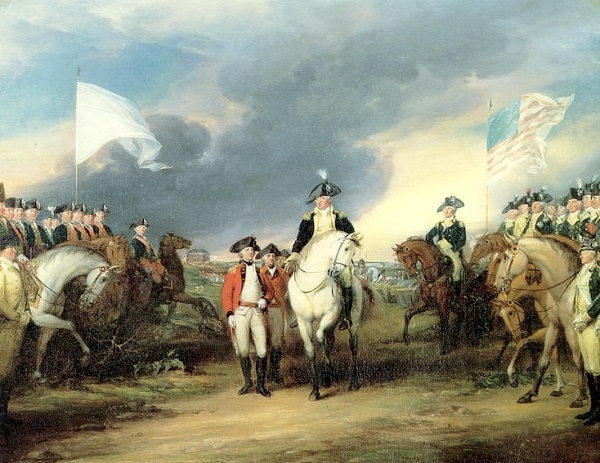 The British army used a number of different military strategies in the Revolutionary War but ultimately failed to suppress the rebellion and surrendered in 1783. How Was the British Army Structured? The British army was intentionally small during peace time. The structure of the army was designed to have a small, high quality army that the government could supplement and expand in times of war. The British army was composed primarily of three arms of service: infantry, cavalry and artillery. Within each of these arms, the soldiers were organized into regiments. Each infantry regiment was divided into 10 companies of equal size with three commissioned officers, five or six non-commissioned officers, one or two drummers, and 38-70 private soldiers. “Surrender of Cornwallis at Yorktown” oil painting by John Trumball, circa 1819-20, depicting the British surrendering to French and American troops in Yorktown. What Was the Size of the British Army in the Revolutionary War? At the outbreak of the Revolutionary War in 1775, the total size of the British army, excluding militia, consisted of 48,647 soldiers (Fey 9). Of these soldiers about 39,294 were infantry, 6,869 were cavalry and 2,484 were artillery. After King George III declared that the colonies were in a rebellion, in 1775, and vowed to suppress it with force, the British government began to increase the size of the British army by creating larger infantry regiments and companies. The number of soldiers per regiment was increased to 200 and the number of soldiers per company was increased to 18. As the war continued, the size of companies was increased again to 70 soldiers before being reduced to 58 soldiers by the end of the war. In total, it is estimated that a total of 50,000 British soldiers fought in the Revolutionary War. 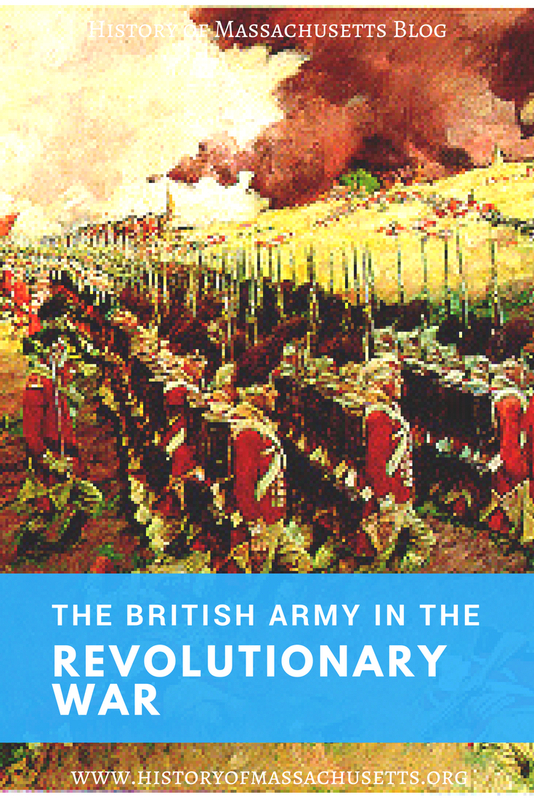 What Were the Advantages of the British Army in the Revolutionary War? One of the major advantages of the British army was that it was one of the most powerful and experienced armies in the world. During the previous 100 years, the British army had defeated many powerful countries in war, such as France and Spain, and seemed almost unbeatable. The British army was also funded by the British government and the Crown, which was very wealthy. In addition, the British Army was supplemented by about 30,000 German soldiers provided by various German states. What Disadvantages Did the British Army Face in the Revolutionary War? One major disadvantage or weakness of the British army was that it was fighting in a distant land. Great Britain had to ship soldiers and supplies across the Atlantic, which was very costly, in order to fight the Revolutionary War. The British army didn’t know the local terrain as well as the Continental Army did and weren’t trained to fight guerrilla-style warfare in the wilderness. Up until the Revolutionary War, the British army had only fought European-style warfare on an open battlefield. In addition, the British army was fighting to protect a vast empire that was spread out across the world. As a result, the army was spread very thin, which reduced its effectiveness. Hagist, Don. N. British Soldiers, American War: Voices of the American Revolution. Westholme Publishing, 2012.